Our gardening company in Islington N1 is perfectly able to maintain your hedges well-trimmed in order for them to be kept good-looking and presentable over the entire year. We are dedicate contractors who will gladly help both home and business owners in the district and it neighbouring areas take care of their bushes and shrubs in order to enhance the overall appearance of their gardens. Green outdoor spaces need attention, too. Unfortunately, they are not easy to deal with, especially when a person lacks the necessary knowledge and tools to do it properly. We are open over the whole week and also during the holidays, so do not hesitate to call and book your hedge trimming quote. Hedge trimming is our speciality, so we can guarantee excellent work done and maximum satisfaction brought to your customers in Islington. We will not only provide you with the best results in return to your money, but also offer a whole range of additional services that could be booked as complementary ones to your hedge trimming quote. In addition, various quotes are available to choose from in order for us to be able to meet your personal needs and requirements in the best way possible. 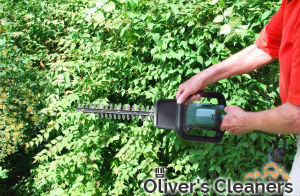 Our gardeners are equipped with special hedge trimmers that can deal with all kinds of shrubs and bushes. The company’s employees are devoted individuals who will take care even of the hard-to-reach parts of your hedges so that maximum results will be provided. We have always put customer satisfaction as a paramount priority, so our employees work with devotion and attention to every single detail to make sure the best results are achieved. 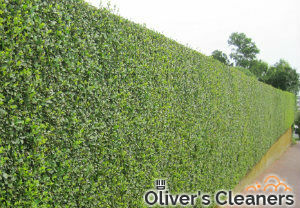 Call and book us to get the best hedge trimming operations in N1 London, our call centre is open 24 hours a day.